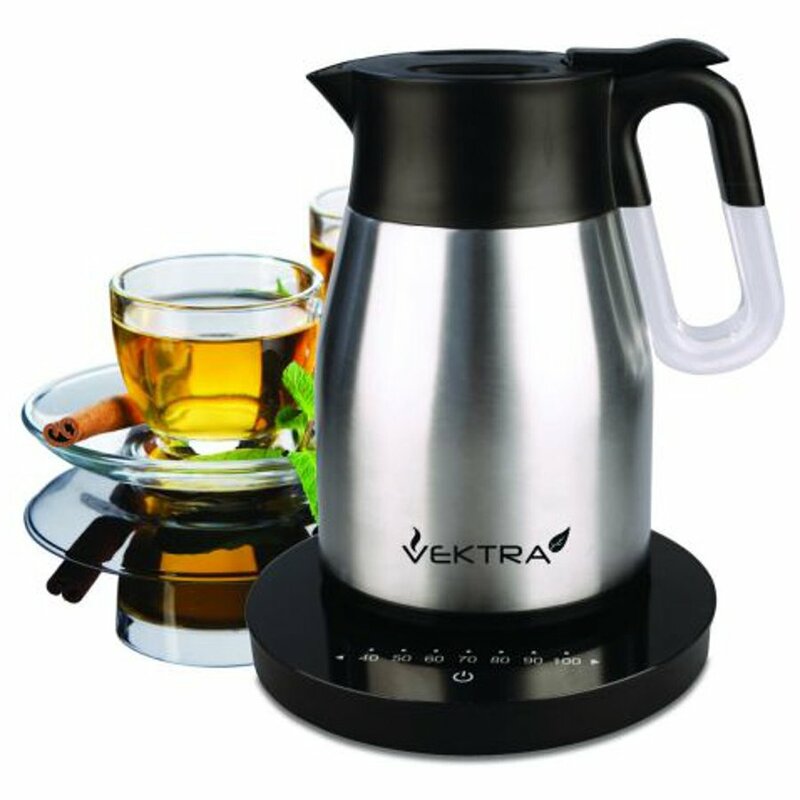 The Vektra 4 offers all new styling with some key improvements to maximise the comfort and convenience of the user and provides the added benefit of showing the current temperature of the water at any given time so it is far easier to know if the kettle should be reboiled. This touch control base also ensures those who wish to drink certain teas and coffees can brew at the correct temperature every time, not all hot drinks should be made with boiling water. 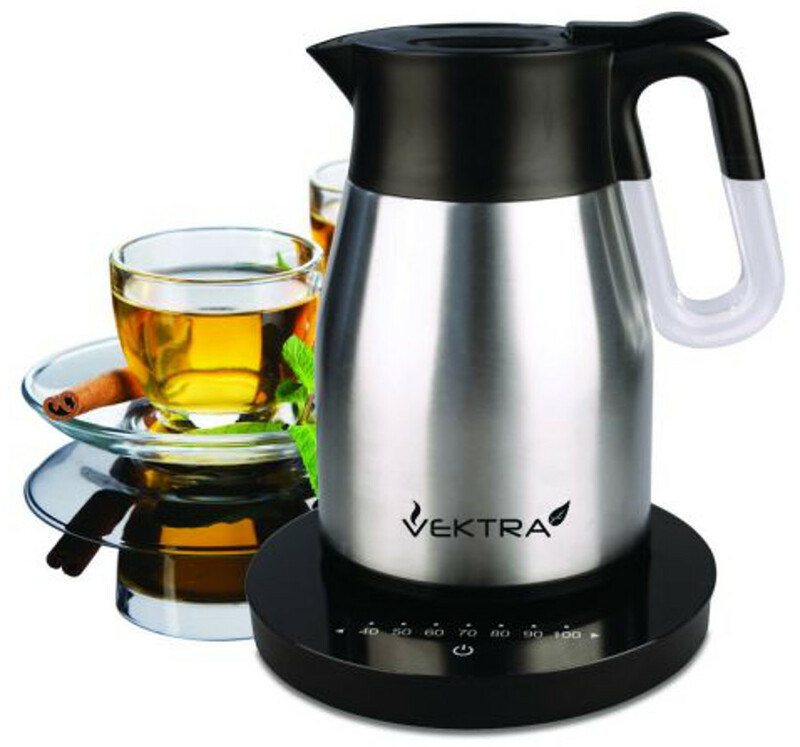 With the added features in combination with the original product specifications, the Vektra 4 provides water and energy saving features to maintain its place as the most eco friendly kettle on the market, boil a full kettle and enjoy the hot water for longer with up to 4 hours from a single boil. Stylish and ecologically brilliant, the Vektra vacuum kettle boils and then acts like a thermal insulating flask, keeping boiled water hot for up to 4 hours. This means you won’t need to repeatedly re-boil which will save money, time, water and energy. With robust double wall stainless steel outer and keep cool sides, non-drip pouring spout, lever controlled anti-spill stopper and an ergonomic and secure handle for safe, easy use. Energy saving, water saving, stylish, economic and ecologically brilliant. Ideal for any home or office. The Vektra Vacuum Eco Kettle 4 with Temperature Control - 1.5 Ltr Brushed Stainless Steel product ethics are indicated below. To learn more about these product ethics and to see related products, follow the links below. It is a lot of money, so I was concerned, but I am delighted with it. The temperature selection is super, ranging from 40-100 degrees. No over heating water and waiting for it to cool down, or guessing and turning it off early. Pouring is different to "normal" kettles but easy to adapt to. A great product. We have had this kettle for a year or more. It works well and keeps water the hot but it is heavy and awkward to pour as it needs to be tipped up very high. The handle design needs improvement too as on boiling, steam escapes at the back by the handle which is dangerous if you're not aware of it and guests who use the kettle for the first-time, always get caught out. well for at least 3hrs maybe longer. There are currently no questions to display about Vektra Vacuum Eco Kettle 4 with Temperature Control - 1.5 Ltr Brushed Stainless Steel.